Update: Congrats to our winner Brigitta and thanks to all who entered! Bel Bambini is famous for offering the very best in gear, designer clothing, nursery furniture, and baby essentials. 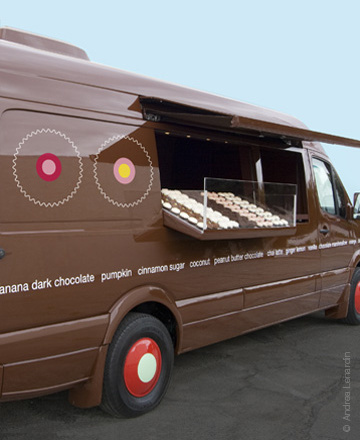 Its celebrity customers include Charlize Theron, Shakira, Drew Barrymore, Adele, Jessica Alba, Selma Blair, Halle Berry, Jamie King, Jamie Lynn Sigler, Bruce Willis, Kim and Kourtney Kardashian, Jessica Simpson, and Busy Philipps, among others. To enter to win the $100 gift certificate, all you have to do is leave a comment at the end of this post by midnight Pacific time on Wednesday, December 11th. Want an extra bonus entry? “Like” South Bay Sparkle on Facebook and come back and leave a second comment telling us you liked us (or that you already like us). On Thursday the 12th, we’ll draw a name from the comments using random.org. Duration: Thursday December 5 through Wednesday December 11, 2013 at 11:59 PM Pacific Standard Time. Leave a comment below to enter. You may enter a second comment if you “like” South Bay Sparkle on Facebook. Winner will be selected by South Bay Sparkle, by using random.org on Thursday, December 12, 2013. Winner will be contacted by email. Winners have 24 hours to respond to their notification email to claim their prize. If they do not respond, another winner will be chosen by random.org. 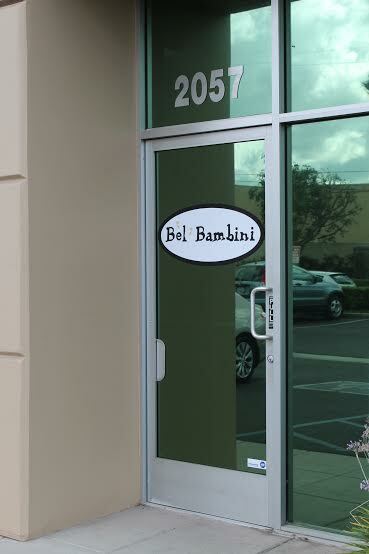 The Bel Bambini outlet is located at 2057 Hoefner Avenue, Commerce, CA 90040. It is conveniently located off Interstate 5 at Atlantic Blvd North, and easy to reach from the greater Los Angeles area and international and local airports. Its hours are Tuesday through Saturday from 9am – 6pm, and it is closed for lunch between 1pm-2pm. How healthy is your lifestyle? The Blue Zones Project of the Beach Cities would like to make it healthier – and more fun. With its new campaign, Wine @ 5, they’re asking adults to look for a friend and a glass of wine around 5pm each day, to connect socially, “downshift” and “belong.” The medical benefits of a little wine are a nice bonus. To promote Wine @ 5, they are sponsoring a very cool giveaway – a massive gift basket from Barsha, the new wine store on Sepulveda in Manhattan Beach. 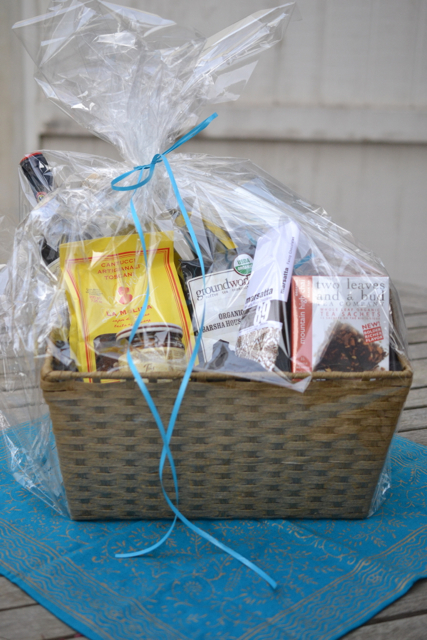 The gift basket, valued at $200, is chock-full of good-for-you goodies including wine, coffee, tea, and chocolates. To enter, all you have to do is take the Blue Zones pledge for healthy living. A winner will be drawn at random from all Manhattan Beach residents who sign up during the month of February. That’s it – you’re done! You’re on the road to a healthier lifestyle already. And now that you’ve got a glass of wine in your hands, stop by and visit the lively community of readers at Manhattan Beach Confidential, the official host of the giveaway. Here’s to your good health!